It’s time for you to take a look at the reality of “cyber -crimes” and how it is effecting your life. The stakes are enormous. “We the People” trust in our government to protect us, we trust in our large institutions (banks, insurance companies, brokerage firms, etc.) to do likewise. The cyber criminals on the other hand, relentlessly, pursue an agenda that comes in many facets. Some are political enemies of the United States and wish to destroy our financial institutions to topple our government; others are out and out criminals stealing our identities to rob our bank accounts, use our credit cards, steal our health benefits, use our social security numbers to gain employment, rob our driver’s licenses and in some cases use our good name and clean record to commit crimes or to gain access to our country because their given name is on a “watch list” that prevents them from entering our Country. Far too many people believe that if they simply destroy their credit cards, cut up their social security card, lock away their driver’s license, shread their documents, etc that they will be safe (the latest iteration of the Ostrich with its head buried in the sand) – this can’t be further from the truth. Since our birth, institutions have obtained our confidential personal information from hospitals, schools, employers, banks, etc … our new born babies require applications for social security cards before leaving the hospital (today the fastest growing aspect of identity theft is the theft of children’s identities between the ages of 0-18) our information is “out there” Today’s thieves are “hacking” into these large institutions with all of our confidential date (supposedly safeguarded) and using it for their purposes. Our only safeguard is to purchase an Identity Theft Protection Plan, have it monitor our credit bureau activity, alert us to changes within our files (including our children’s files) then provide us with information on how to handle the illegal use of our information. Collectively, all of our “personal confidential information” has been stolen by these thieves as they hack into large institutions; our Government indicates over 500 Million personal records have been compromised (that they know about) and we know there are only 360 Million Americans, therefore it’s easy to see they have our information already. 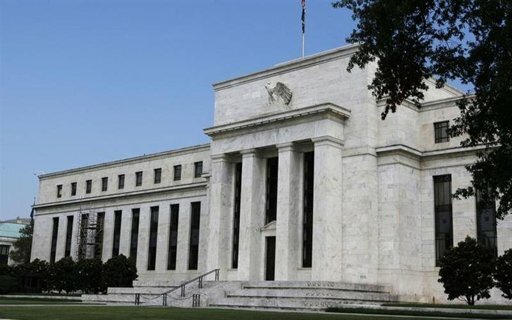 This headline was in today’s paper – “Fed says internal site breached by hackers, no critical functions affected” (more) I rest my case – when the Federal Reserve Bank of the United States of America gets hacked you and I have no hope of protection. Take Action Today … spend 12 minutes and view my video … it will allow you to see what protection looks like and it will provide you peace of mind – peace of mind for your entire family including your babies, children and teen-agers. Are you looking for Happiness in your Life, Work, Home? © 2017 Rezults group. All Rights Reserved.